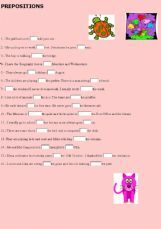 Some sentences to complete with the correct prepositions. How to choose between FOR and TO. Choose between TO or FOR in different contexts, in particular in the "purpose" context. 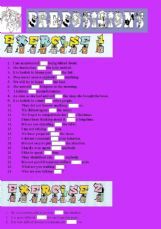 3 exercises (78 sentences) to practice. 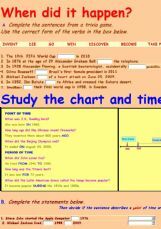 The exercise talks about historical events and uses the past simple to introduce the use of prepositions and time expressions that describe a point of time or a period of time. 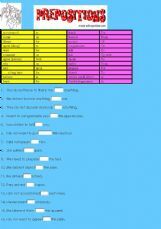 24 sentences with a table to practice or to revise.